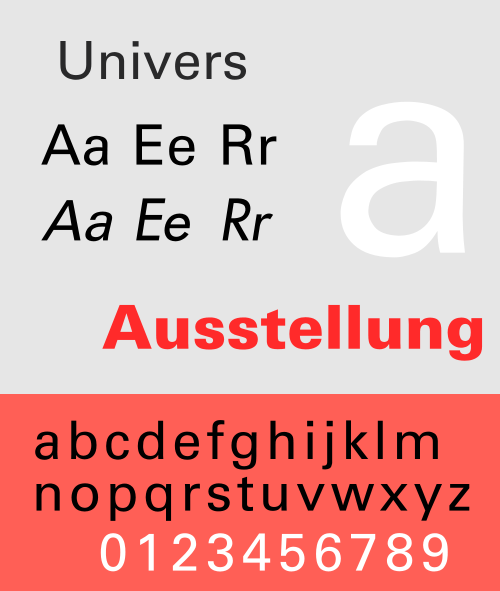 Frutiger’s goal was to create a sans serif typeface with the rationality and cleanliness of Univers, but with the organic and proportional aspects of Gill Sans. 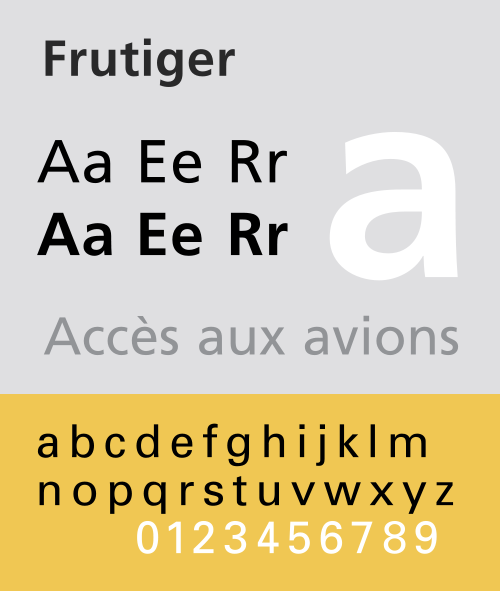 The result is that Frutiger is a distinctive and legible typeface. The letter properties were suited to the needs of Charles De Gaulle – modern appearance and legibility at various angles, sizes, and distances. Ascenders and descenders are very prominent, and apertures are wide to easily distinguish letters from each other. The Frutiger family was released publicly in 1976, by the Stempel type foundry in conjunction with Linotype. Frutiger’s simple and legible, yet warm and casual character has made it popular today in advertising and small print. Some major uses of Frutiger are in the corporate identity of Raytheon, the National Health Service in England, Telefónica O2, the British Royal Navy, the London School of Economics and Political Science, the Canadian Broadcasting Corporation, the Conservative Party of Canada, the Banco Bradesco in Brazil, the Finnish Defence Forces and on road signs in Switzerland. The typeface has also been used across the public transport network in Oslo, Norway, since the 1980s. 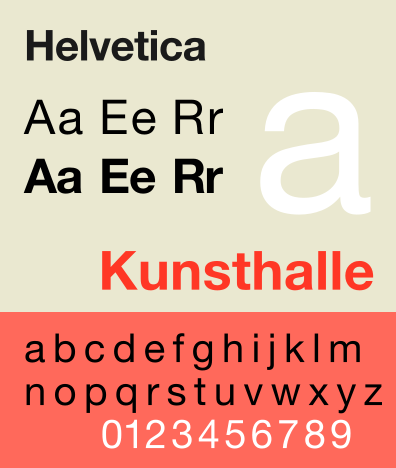 In 2008 it was the fifth best-selling typeface of the Linotype foundry. Frutiger is also used by DHL Globally and by DPWN Deutsche Post in Germany. 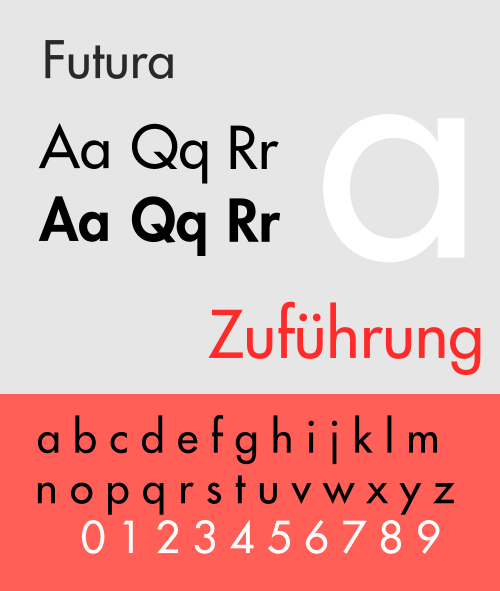 Frutiger was also produced by Bitstream under the name ‘Humanist 777’. Clarendon is an English slab-serif typeface that was created in England by Robert Besley for the Fann Street Foundry in 1845. Due to its popularity, Besley registered the typeface under Britain’s Ornamental Designs Act of 1842. The patent expired three years later, and other foundries were quick to copy it. Clarendon is considered the first registered typeface, with the original matrices and punches remaining at Stephenson Blake and later residing at the Type Museum, London. They were marketed by Stephenson Blake as Consort, though some additional weights (a bold and italics) were cut in the 1950s. It was named after the Clarendon Press in Oxford. Designs for wood type were made from the mid 1840s on. The typeface was reworked by the Monotype foundry in 1935. It was also revised by Hermann Eidenbenz and Edouard Hoffmann in 1953, Freeman Craw as Craw Clarendon, an American version released by American Type Founders, in 1955, and by Aldo Novarese as Egizio, complete with italics, in 1958, among others. The font was used extensively by the government of the German Empire for proclamations during World War I, and was also common in wanted posters of the American Old West. 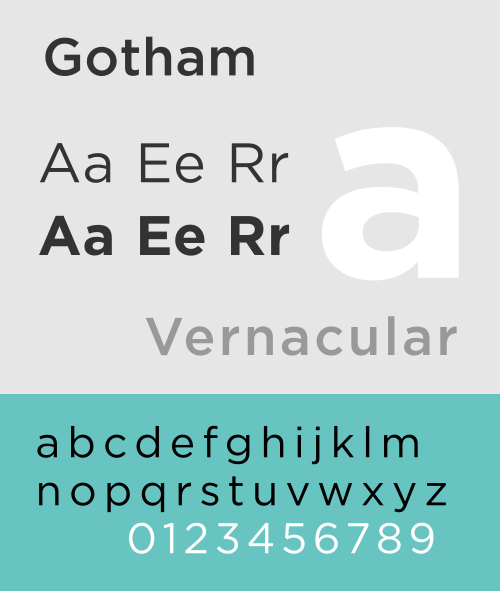 Gotham is a family of geometric sans-serif digital typefaces designed by American type designer Tobias Frere-Jones in 2000. Gotham’s letterforms are inspired by a form of architectural signage that achieved popularity in the mid-twentieth century, and are especially popular throughout New York City. Since creation, Gotham has been highly visible due to its appearance in many notable places, including a large amount of campaign material created for Barack Obama’s 2008 presidential campaign, as well as the cornerstone of the One World Trade Center, the tower to be built on the site of the former World Trade Center in New York. 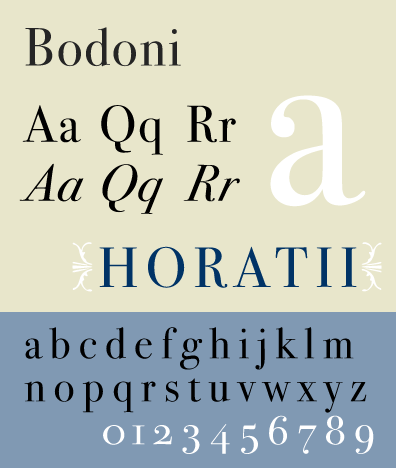 Bodoni is a series of serif typefaces first designed by Giambattista Bodoni (1740–1813) in 1798. The typeface is classified as Didone modern. Bodoni followed the ideas of John Baskerville, as found in the printing type Baskerville, that of increased stroke contrast and a more vertical, slightly condensed, upper case, but taking them to a more extreme conclusion. Bodoni had a long career and his designs evolved and differed, ending with a typeface of narrower underlying structure with flat, unbracketed serifs, extreme contrast between thick and thin strokes, and an overall geometric construction. Though these later designs are rightfully called “modern”, the earlier designs are “transitional”. Among digital versions, there are two good examples of the earlier, transitional period: Sumner Stone’s ITC Bodoni, and Günther Lange’s “Bodoni Old Face” for Berthold. Virtually all other versions are based on Bodoni’s most extreme late manner. Some digital versions of Bodoni are said to suffer from a particular kind of legibility degradation known as “dazzle” caused by the alternating thick and thin strokes, particularly from the thin strokes being very thin at small point sizes. This only occurs when display versions are used at text sizes, and it is also true of much display type that is used at text sizes. Non-dazzling versions of Bodoni that are intended to be used at text size are “Bodoni Old Face”, optimized for 9 points, and ITC Bodoni 12 (for 12 points) and ITC Bodoni 7 (for 7 points).